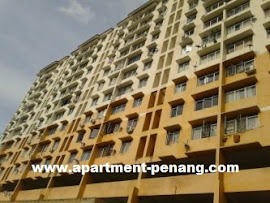 Permai Ria Apartment is a freehold low-medium cost apartment located along Jalan Lembah Permai next to Azuria in Tanjung Bungah, Penang. Permai Ria Apartment consists of two blocks, each units has a built-up area of 700 sq.ft. and 850 sq.ft. Built-up Area : 700 sq.ft. - 850 sq.ft.